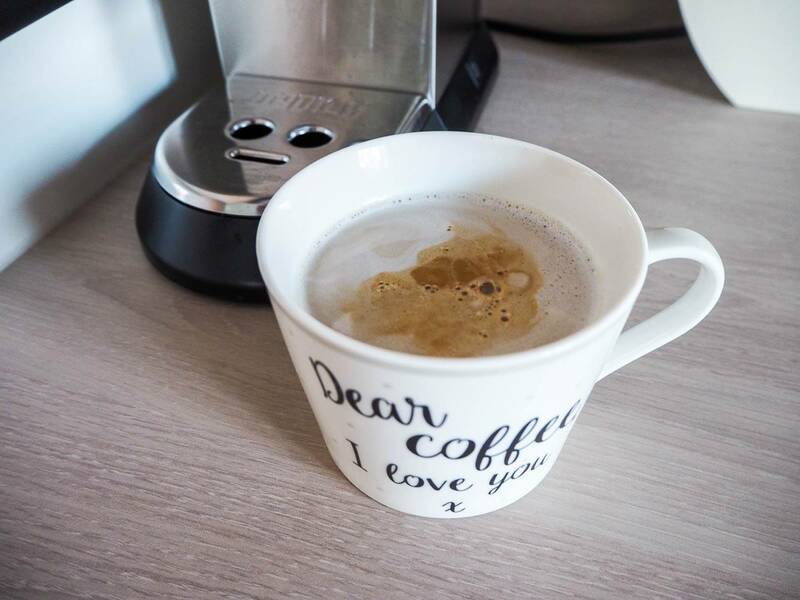 I have a quirky little story to tell you about why I love coffee. My Mum is both a tea and coffee drinker, but when she was pregnant with me she went off tea completely and all she drank was coffee. As a result, I can’t drink tea at all and I love coffee. In case you’re wondering, the minute I was born Mum wanted a cup of tea! Years ago coffee wasn’t a big thing like it is now, our towns were not full of coffee shops on every corner and people didn’t have coffee machines at home, like they do now. In fact I would often go to people’s houses and when I was offered a hot drink, it was only ever tea I was offered. A lot of people didn’t even have coffee in their cupboards. How things have changed over the years. 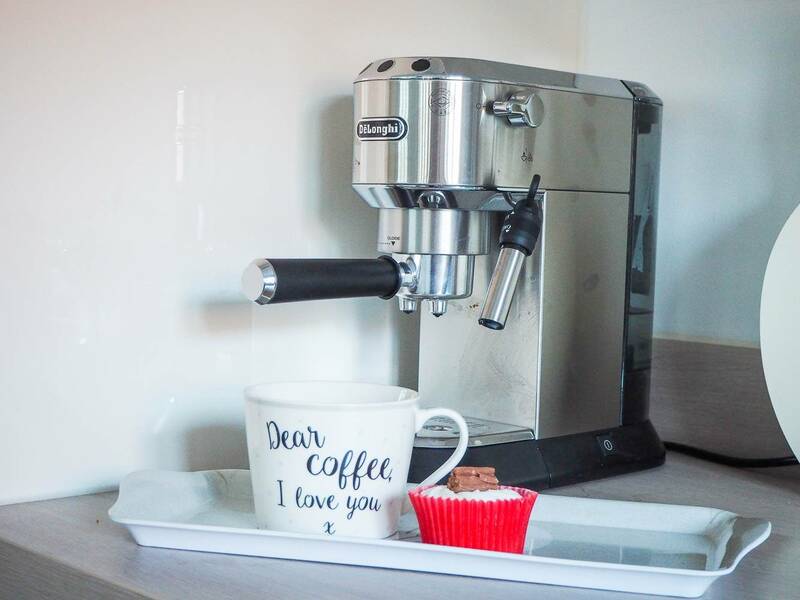 I’ve always wanted to have a coffee machine at home, in case you had’t gathered by now I love coffee and definitely in the last 6 years since I became a Mum, I’ve drank more of it. 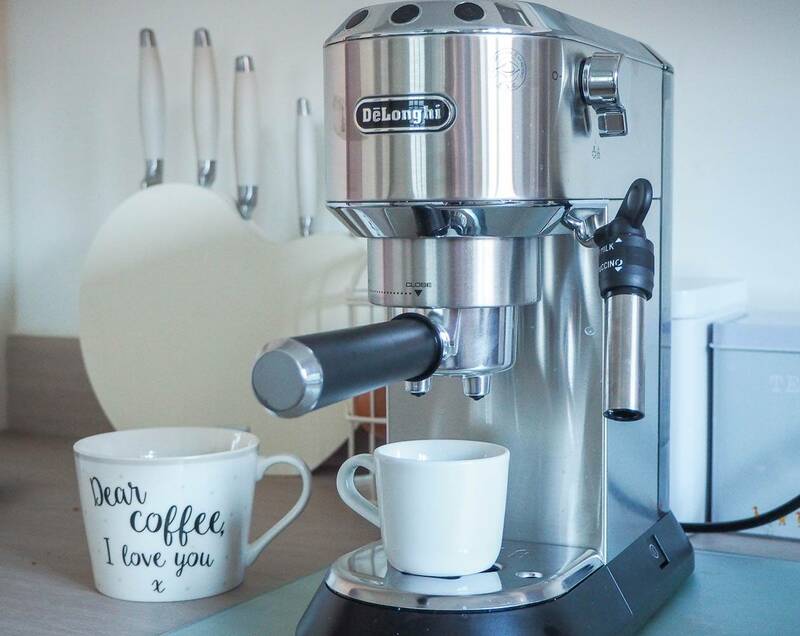 I was recently kindly sent a De’Longhi Traditional Espresso Coffee Machine and I couldn’t wait to try it and have my first cup of coffee in the comfort of my own home. To begin with you need to add water to it, you can ether remove the water tank and fill it directly from the tap or use a jug to fill it up. 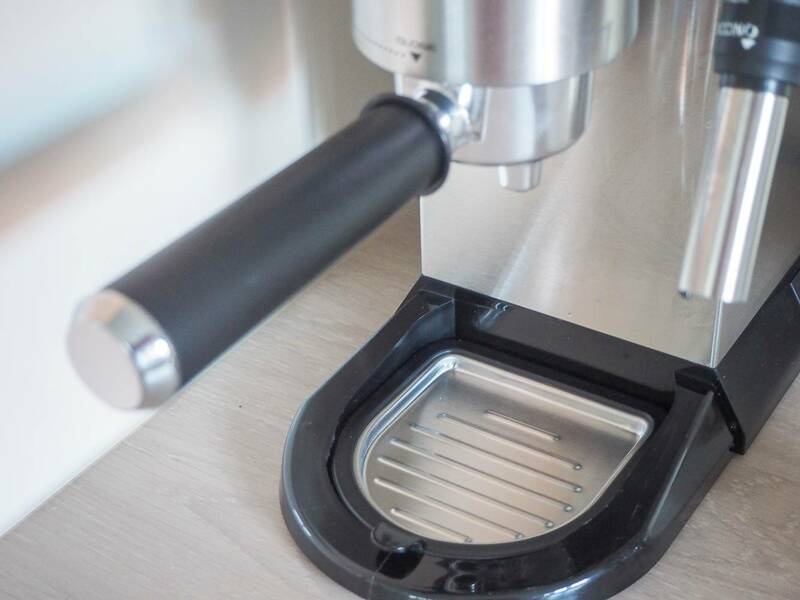 What I love about this coffee machine is that you can use ground coffee with it and it makes the most wonderful cup of coffee. 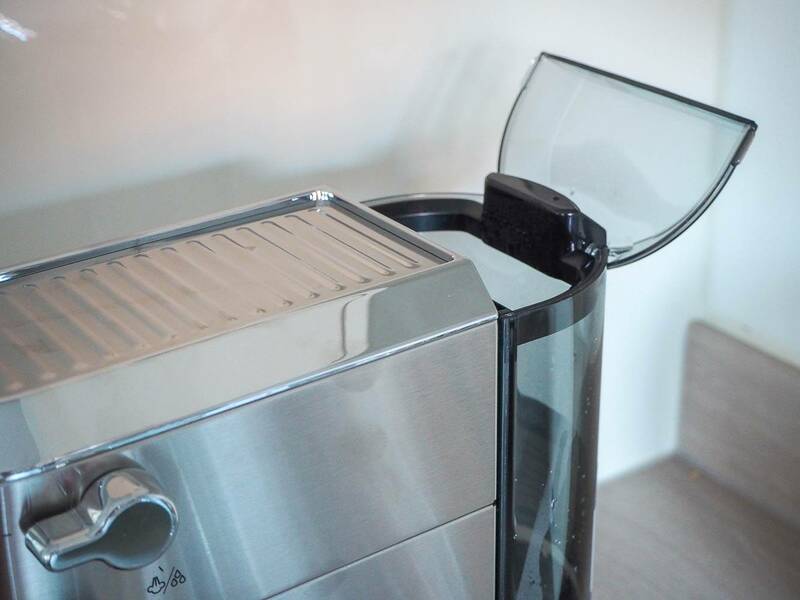 It comes with a couple of filters, depending on whether you are making 1 or 2 cups of coffee. Then you add the coffee and it comes with a spoon that has a flat end for you to flatten the coffee, before attaching it to the machine. 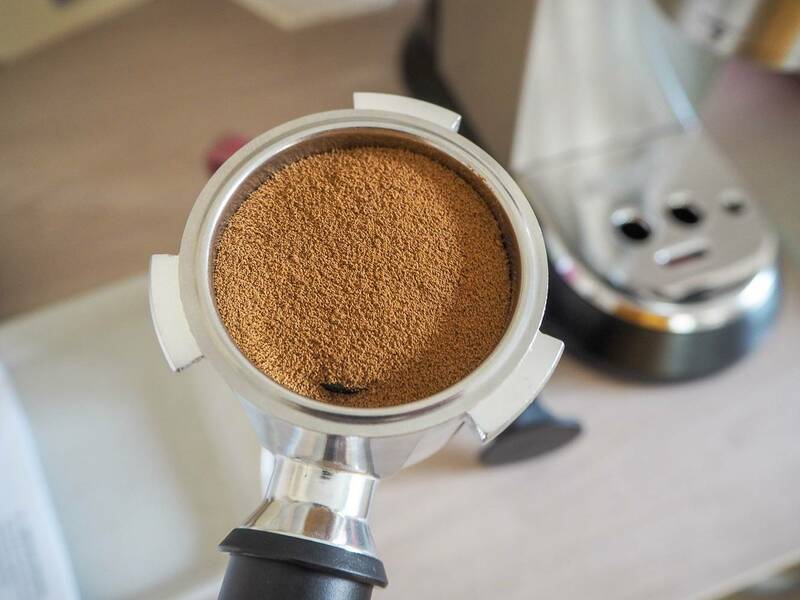 Place a small cup under the filter, when you are ready to make your coffee. I love a latte and this is what I was making, but you can make a cappuccino, espresso and more. The milk frother has two options, one for making a cappuccino and one for hot milk, which is what I used for my latte. When frothing your milk, make sure your cup has enough room for the milk to expand. 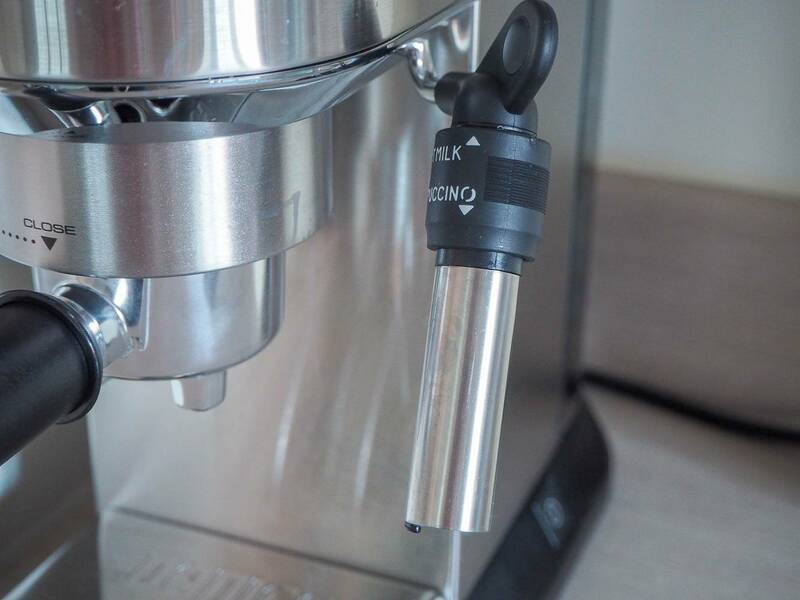 As you can see there is a dial on the side to turn the frother on and off. There you have my latte and one of the nicest coffee’s I’ve tasted. If you have taller mugs, or even latte glasses, which I think I will be buying for myself. Then you can remove the tray under the filter to fit them under it. 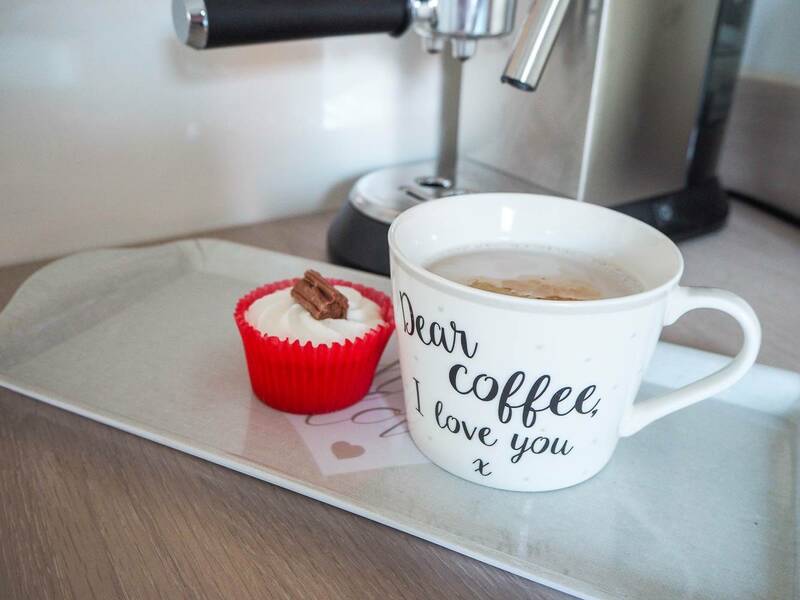 Which means you can fit taller mugs like this and have even more coffee! 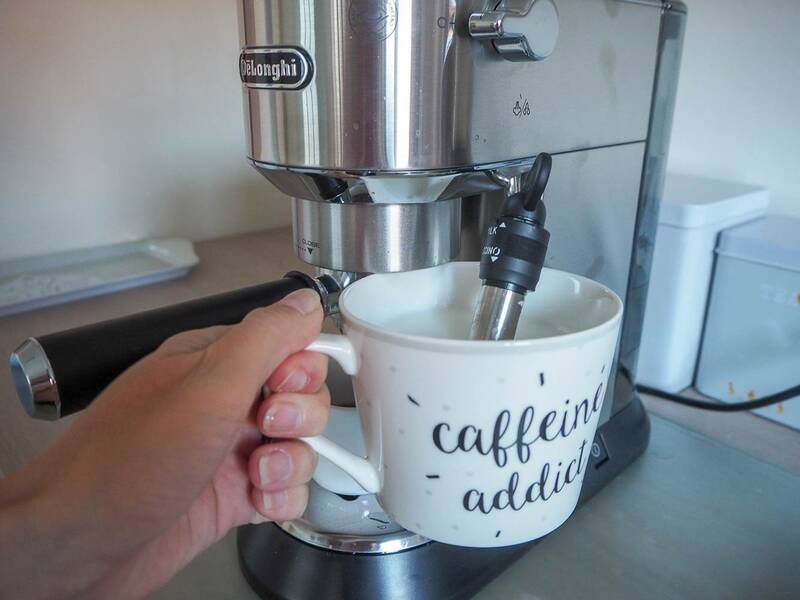 I’ve been really happy with using this coffee machine, I found it easy to use and keep clean. Plus the coffee tastes really nice and of course I can’t have a coffee, without a cake. 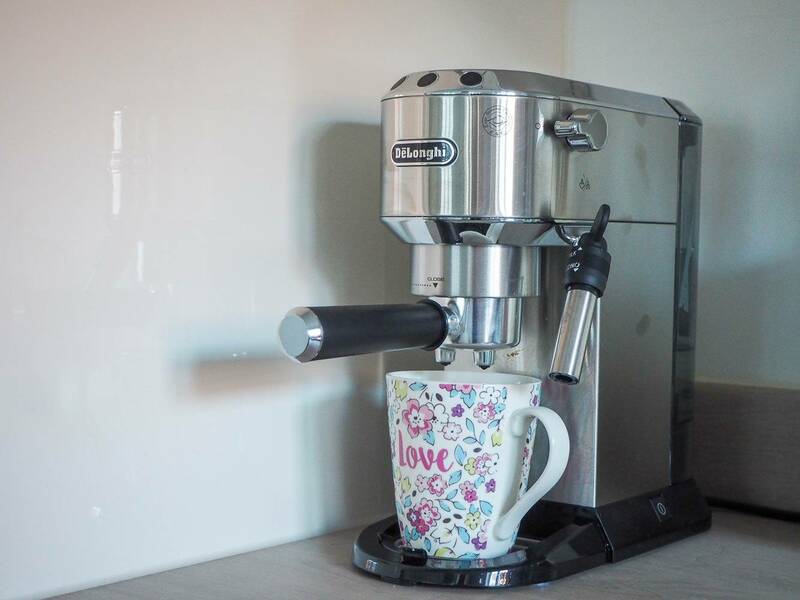 You can buy the De’Longhi Traditional Espresso Coffee Machine from AO RRP £219. At the time of writing this post, its reduced to £179. Now I can enjoy a lovely latte, a cake and read my book in the comfort of my own home. 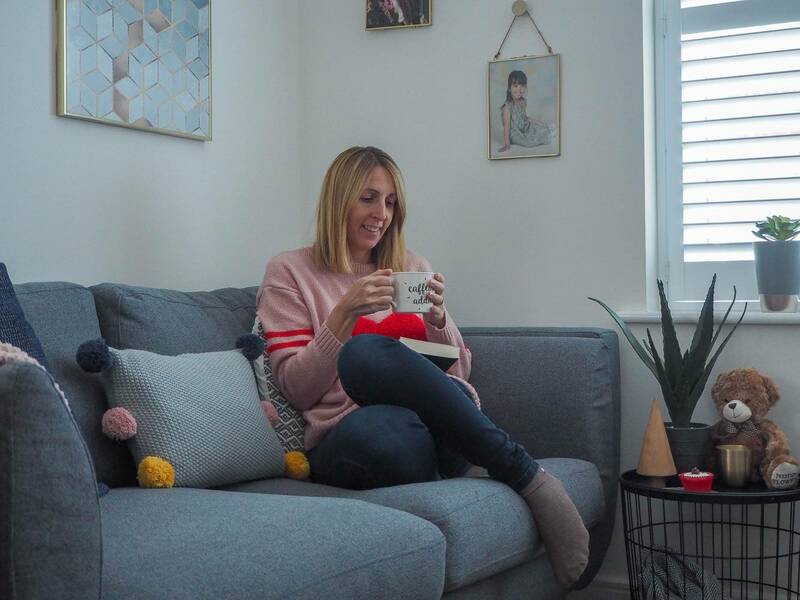 Edit – February 2019 – I wanted to add onto this review, how I am finding the coffee machine a few months later. As I use it every day and I honestly love it. It makes such a nice cup of coffee and its really easy to clean afterwards. I also love the hot milk option, and make hot chocolate for us all after a winters walk. It’s definitely the most used item in our kitchen. 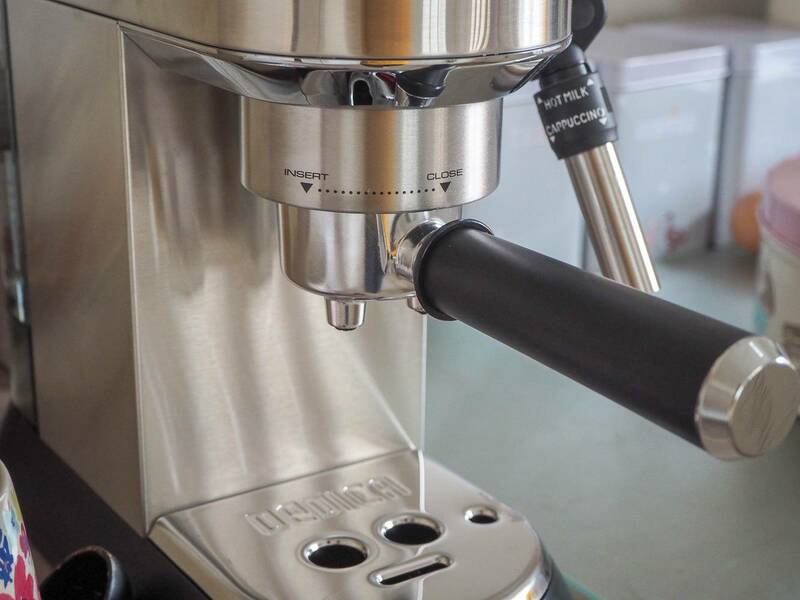 Disclosure: I was kindly sent my coffee machine in return for an honest review. All views, opinions and photos are my own. 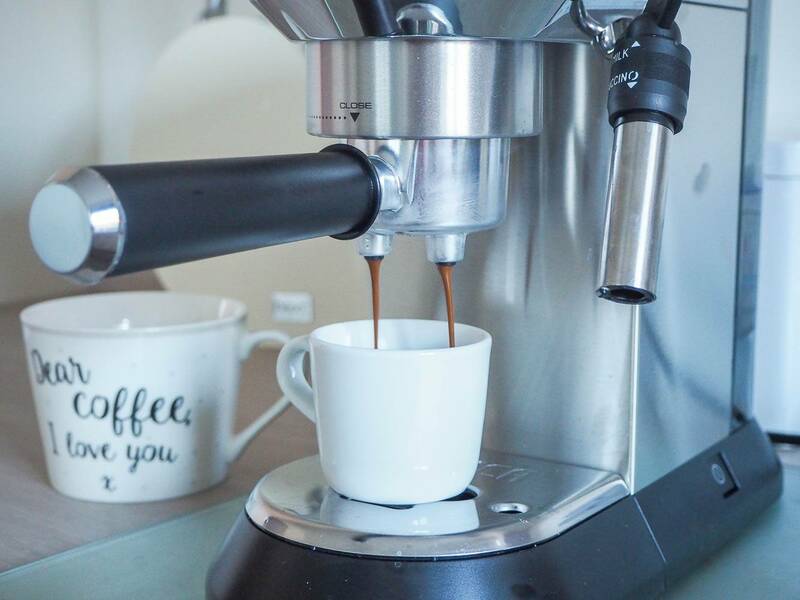 Once you can make an amazing coffee at home you wonder what on earth you were doing before, and this is just the machine to do exactly that – I can’t blame you for falling in love! That looks fab, I would love my own “proper coffee” maker! Mmm, your coffee looks delicious! I hardly ever use my coffee machine, so it tends to just sit there gathering dust, but this one actually seems much easier to use.